None of the Crusades, after the Third, effected much in the Holy Land; either their force was spent before reaching it, or they were diverted from their purpose by different objects and ambitions. The last four expeditions, the Fifth, Sixth, Seventh, Eighth and Nineth crusades were undertaken by the Christians of Europe against the infidels of the East, may be conveniently grouped as the Minor Crusades. The Minor Crusades were marked by a less fervid and holy enthusiasm than that which characterized the first movements, and exhibit among those taking part in them the greatest variety of objects and ambitions. The Sixth Crusade (1227-1229), headed by Frederick II. of Germany, succeeded in securing from the Saracens the restoration of Jerusalem, together with several other cities of Palestine. The Seventh Crusade (1249-1254) was under the lead of Louis IX. Of France, surnamed the Saint. 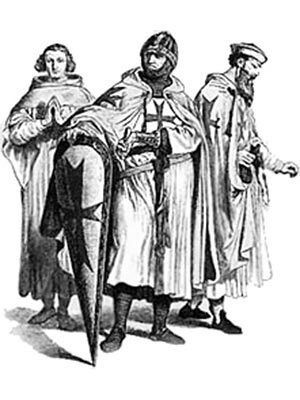 The Eighth Crusade ( 1270 ) was incited by the fresh misfortunes that, towards the close of the thirteenth century, befell the Christian kingdom in Palestine. The leader of the eighth crusade was King Louis IX of France. King Louis IX directed his forces against the Moors about Tunis, in North Africa. Here the king died of the plague. Nothing was effected by this crusade. The Ninth Crusade (1271 - 1272) was also incited by the misfortunes that, towards the close of the thirteenth century, befell the Christian kingdom in Palestine. The leader of this crusade was Prince Edward of England, afterwards King Edward I. The English prince, was, however, more fortunate than the ill-fated King Louis IX. Edward succeeded in capturing Nazareth, and in compelling the sultan of Egypt to agree to a treaty favorable to the Christians in the Last Crusade . The flame of the Crusades had burned itself out leading to the Last Crusade. The fate of the little Christian kingdom in Asia, isolated from Europe, and surrounded on all sides by bitter enemies, became each day more and more apparent. Finally the last of the places (Acre) held by the Christians fell before the attacks of the Mamelukes of Egypt, and with this event the Latin Kingdom of Jerusalem came to an end (1291). The second great combat between Mohammedanism and Christianity was over, and "silence reigned along the shore that had so long resounded with the world's debate." Each section of this Middle Ages website addresses all topics and provides interesting facts and information about these great people and events in bygone Medieval times including Minor Crusades. The Sitemap provides full details of all of the information and facts provided about the fascinating subject of the Middle Ages!